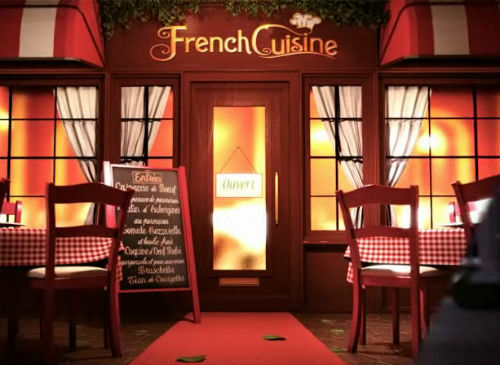 French cuisine has been hailed as among the best in the world, if not the best. The whole world is simply obsessed with the French, when it comes to delicious food. The French consider eating good food as their right and have deliberate cuisine and traditions to back up that claim. The renaissance period ushered in an era, where food was seen as more than just a means to survive. The common classes started preparing food that was more about taste than survival. The Italians are credited with influencing French cuisine the most. Wealthy Florentines introduced layering up of food, like lasagne, and came up with methods to increase the longevity of dishes. These tricks and tips were carried to the French court by the Medici family, who had their daughter married to King Henry II. Dining became a theatrical expression after that, and still is, in France. The use of silverware, china and cutlery was initiated during this time. Germany and Spain, too, had their share in influencing French cuisine. Basque overtones are found in southern French cuisine while German sauerkraut is still eaten in the eastern parts. Le Cuisine François, written by La Varenne and considered as the French food bible. The book came out in 1652 and spread French cuisine throughout Europe. The recipe for roux, a mixture of butter and flour, was introduced in this book. This was used throughout Europe for thickening soups and heralded the importance of French cuisine to the continent. French cuisine was segregated throughout the country. By the early 20th century, this started getting compiled, due to better transportation. A wealth of cuisines mixed up and penetrated all regions of the country. After the Second World War ended, tourism took its roots in the country and this spread the glory of the food to all parts of the world. In present day France, you can stroll through any town and find the best of food. Southern France, in particular, is world renowned for its delicacies. A three course meal accompanied by wine is the staple diet of the French populace. The breakfast, called le petit dejeuner, starts the day. Croissants, accompanied by a hot bowl of chocolate or coffee is the standard breakfast affair here. Lunch is eaten in leisure and can consist of many courses. Hors d’oeuvre is the first course and may consist of salad or soup. The main course is usually meat or fish based dishes and is called as les plats. This is followed by fruits, cheese or dessert. A late afternoon snack, le gouter is a simple affair of bread and chocolate, served with milk. Dinner is sort of a family get-together and wine is usually served along with the food. The French also follow a custom known as L’Aperitif, wherein they chit-chat with family for some time before beginning the meal. The French know how to make their food and enjoy it. Delicacies are an inherent part of their culture and this has made the country one of the foremost destinations for a foodie. Grace is an expert associated with the good food network and writes occasional blog posts about various cuisines from around the world. Apart from providing cuisine ideas, the site also covers French food supplies to most parts of the UK. Feel free to comment or share your thoughts on this "Origins of the French Cuisine" article from Awesome Cuisine.